Awaken to the Best You! Do you want your event to be outstanding? Ready for your audience to be empowered, inspired and challenged to be the best in life and create the life you love to live? 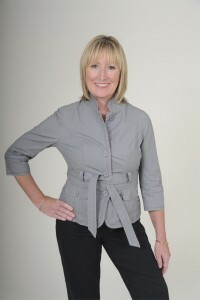 Moira Sutton is a Motivational Professional Speaker who speaks from her heart and soul. She connects with her audience in an energetic, dynamic, passionate and inspirational way! Moira is a catalyst for heart centered women who are ready to awaken the higher mental, emotional and spiritual nature of who they truly are. Create a life on Purpose, with Passion and Prosperity. She helps women become crystal clear on what they really want and desire in their lives; creating from the inside out and changing mindset. They breakthrough limiting beliefs, attitudes and habits, so that they can create more love, joy, bliss, fulfillment and abundance in their lives! "What can you say about Moira? High energy, boundless enthusiasm, grounded optimism and authentic generosity. Moira has intense curiosity that inspires the same in others as well as the courage to promote positive change. This unique combination of qualities affords her a graceful ease in developing rapport with others. Contact Moira to book her for your next event and find out about our upcoming events and our Create the Life your Love™ 2019 Transformation Retreats.